The list below is from 2018. We’ve since updated our top 5 lesson plans based on community feedback! 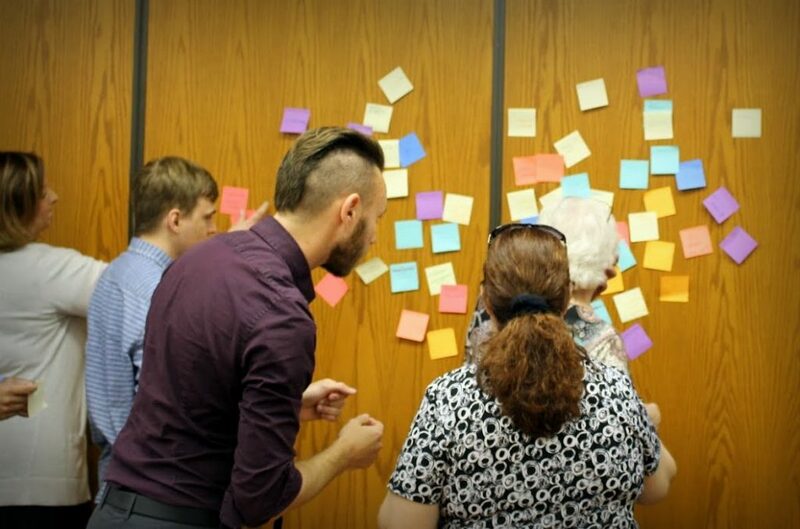 Over the last year we learned what you and the rest of our community of over 3,000 entrepreneurship teachers want to make your classroom environment more engaging and rigorous for your students. 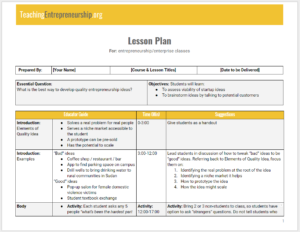 Here, we share our entrepreneurship professor’s 5 favorite lesson plans. These transform students’ experience through experiential lessons around ideation, customer interaction, and prototyping. In our Syllabus Co-creation lesson plan, we provide an interactive experience to engage your students by turning their problems into your syllabus. This is a powerful way to launch a semester by creating for students an authentic feeling of what it’s like to be the customer. Students will see exactly how and when they will acquire the skills to address their biggest problems and fears during your course. Your students will be engaged, because you will be engaging them. A great way to follow up the Syllabus Co-Creation is our Why Business Plans Fail lesson. During this day, students experience the marshmallow challenge to understand why business model experimentation can be more effective than business planning. While variations of the Marshmallow Challenge have been around for a while, we found the vast majority of students have still never done it. Students will experience the pitfalls of hidden assumptions first-hand so they can more easily validate their business model assumptions later in your course. This class will be fun and high energy for you, and your students. Our lesson plan guides you through two iterations of an 18 minute, fast-paced construction challenge where students learn that invalidated assumptions lead to failure. Your classroom will be loud, it will be full of anxiety and excitement, and ultimately full of failing and the glorious learning that comes from it. Most people think the heart of entrepreneurship is the idea. In this lesson we shatter that assumption, and replace it with an appropriate focus on customer problems. 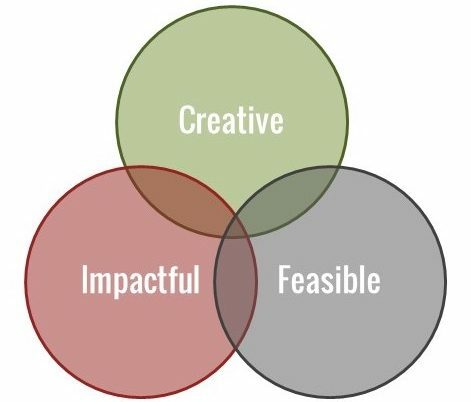 We want your students to develop ideas that are more feasible, impactful, and creative. This is one of the toughest challenges entrepreneurship professors face. Student ideas tend to be a repetition of low-impact or infeasible mediocrity. You want more from them. We can help! We focus your students on problems in this lesson, because the best business ideas come from problems. More feasible because they’re focusing on serving people they care about. 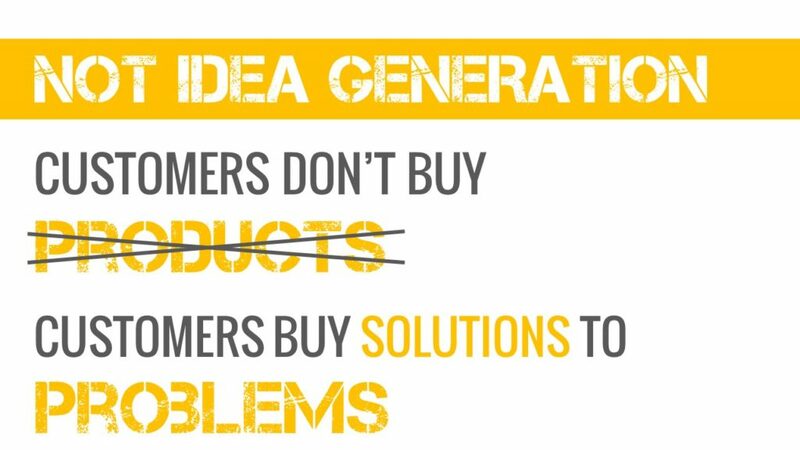 More impactful because they’re paying more attention to problems than they are products. More creative because they’ll use those problems as inspiration. During our years of research on what topics entrepreneurship professors struggle to teach, we heard “customer interviewing” over and over again. Our ExEC curriculum includes a robust method of customer interviewing, but customer observation is another great way to gather customer information. So we developed our Teaching Customer Observations lesson plan to help students learn learn the value of seeing how their customers experience problems, as opposed to imagining their customers’ problems. This exercise positions your students to observe customers in their natural settings. This allows them to discover new business opportunities and increase their empathy and behavioral analysis skills. Our goal with this exercise is to teach students to have an empathy picture/analysis that frames the problem they are trying to solve before they jump to a solution. Having this clear picture will allow them to come up with better creative solutions. Introduce students to a powerful tool to gather information on customer experience in real life situations. This allows students to avoid predicting customer behavior by actually observing it. Students practice how to listen with their eyes in order to understand what people value and care about, & what they don’t. Provide a common reference experience for expanding on topics later in the course. Your students will love this class period; they progress from the anxiety of the challenge confronting them (build a website in 60 minutes) to the elation of their journey (launching a website they built in 60 minutes). This exercise creates tremendous energy in your classroom. Students create something real. Upscale dining at its finest! Some critical learnings for your students are the true meaning of Minimum Viable Product (MVP), that it’s easier to launch a product than they thought, and that the easiest thing about building a business is launching that product. Want 15 Weeks of Lesson Plans? If you are looking for a fully structured, experiential entrepreneurship curriculum, with a semesters worth of lesson plans that students love, you don’t need to reinvent the wheel. We’ve done the work for you. Check out the Experiential Entrepreneurship Curriculum. We email new experiential entrepreneurship lesson plans regularly. Subscribe here to get our next lesson plan in your inbox! Join 4,000+ teachers. Get new lesson plans via email. We’ve spent the last year developing a robust assessment strategy for our textbook-replacing Experiential Entrepreneurship Curriculum (ExEC). With the new academic year upon us, we wanted to share our strategies in time for you to incorporate them. Ensuring students understand how to create businesses that fulfill customers’ emotional needs (e.g. solve problems, achieve desires, etc.) via an iterative process consisting of devising and executing experiments to validate assumptions. As teachers, we have very limited time with students – one, maybe two terms. The businesses they build during their time in school are not going to be their best/last chance at success. Students’ time with us is best spent developing a mindset that prepares them for creating future ventures. Achieving “Product-Market Fit” or “Problem Validation.” Often times the best outcomes for business model experiments is determining the model isn’t worth pursuing in its current design. Students should be rewarded, not penalized, for invalidating their assumptions, even if it means they don’t validate a problem during their interviews, or generate revenue during their demand tests. Number of interviews conducted. While students conducting very few interviews (e.g. < 5) aren’t demonstrating an understanding of the business model validation process, a high number of interviews doesn’t correlate to high comprehension of the process. In fact, in many cases, not being able to find customers to interview is a great way to invalidate assumptions. Avoid assessing students on the number of interviews they conduct, and instead, focus on the process they used to try to acquire their interviews, what they learned during their interviews, and how that informed their future hypotheses. Number of paying customers or revenue generated. Putting emphasis here will incentivize students to alter the results of their experiments. Instead, we want to encourage students to run objective experiments, and report out on their actual results, even, and especially, if that means their experiments “fail.” Emphasizing their process, over their progress, will decrease students’ fear of failure, and encourage a more risk-tolerant and innovative mindset. The originality or innovativeness of the idea. Assessing originality and innovativeness can be extremely subjective. Moreover, the focus of ExEC is to show students a process they can use to create successful businesses that solve problems. The solutions do not necessarily have to be original or innovative to solve a problem or teach students a process. Effectively recruit prospective customers for business model validation experiments. Design and execute business model validation experiments like demand testing, customer interviewing, etc. 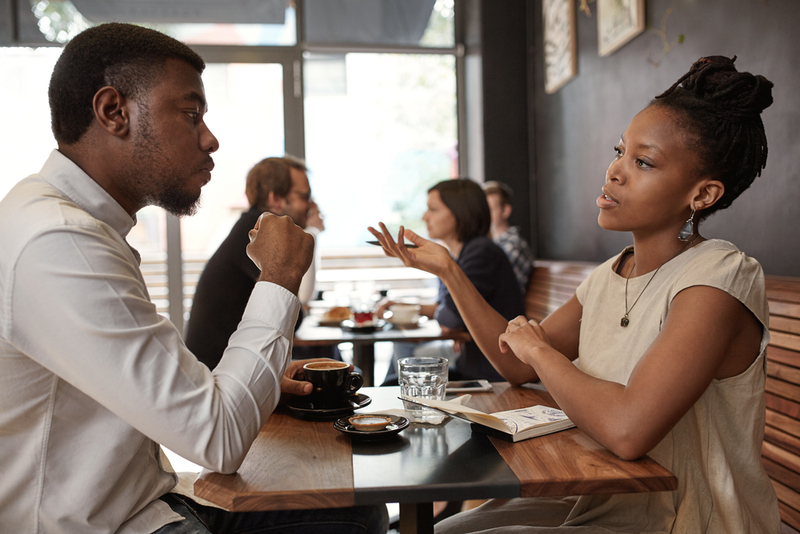 Conduct interviews to understand the emotional perspective of their customers. Use information from business validation experiments to devise and iterate possible solutions to their customer’s problems. Assess the financial viability of their solution. Describe their validation journey and understanding of the process. An overview on how we implement our philosophy is below. Full Credit: means the student demonstrates a consistent and complete understanding of, and ability to apply, the validation principles underlying the assignment. Partial Credit: is given when students demonstrate an incomplete or inaccurate understanding of the underlying principles, or difficulty applying the principles. No Credit: is given when students demonstrate a lack of willingness to learn, or apply, the underlying principles of the exercise. Written assignments students complete outside of class that help them design and execute their business model validation experiments. First exercise of the class. Demonstrates students’ understanding of the pros and cons of business planning versus business model validation. Underscores the importance of experimentation, which they will be assessed on repeatedly throughout the class. Basis for student interviews. If they don’t get this right, much of the rest of their exercises will falter. Will highlight the importance of empathizing with customers, which they will be assessed over and over throughout the course. Demonstrates students’ ability to conduct customer interviews. Demonstrates students’ ability to empathize with customers. Demonstrates students’ ability to do qualitative analysis. Demonstrates students’ ability to identify the riskiest assumptions of their business model. Demonstrates students’ understanding of effective success metric definition. Demonstrates students’ ability to design and execute experiments that test falsifiable hypotheses. Short, 10 minute meetings between our instructors and individual teams where instructors assess a team’s understanding and application of the validation process, and help them overcome specific challenges they’re facing designing/executing their experiments. Preparedness: students completed and brought all required materials. Empathy: students were able to understand the emotions driving their customers’ pains/gains, and utilize that understanding to effectively resolve their customers’ needs. Experimentation: students effectively hypothesized falsifiable assumption and design, and implement experiments to test those assumptions. A collection of Business Model Canvas iterations, and written reflections, detailing each student’s business model assumptions, experiments, and learnings throughout the course. Instructors can use this written history of each student’s validation journey, to assess how well the student understands and applies the validation process individually – independently of the contributions of their teammates. A presentation of each team’s validation journey during the course, including all of their (in)validated assumptions, emphasizing their ability to execute the validation process, more than the final outcome of the business. Students wrap up the ExEC course with a pitch, but not a traditional product-centric, Shark Tank-style pitch; this pitch is process-centric. More important than the outcome of any single experiment, or grade on any one assignment, is helping students learn an entrepreneurial mindset – a process they can use to repeatedly use to solve problems of the people they want to serve. ExEC does not include any exams, choosing instead to focus student efforts on out-of-class projects. ExEC is however compatible with exams when appropriate or required by an institution. Illustrate the focal venture’s business model using the BMC. 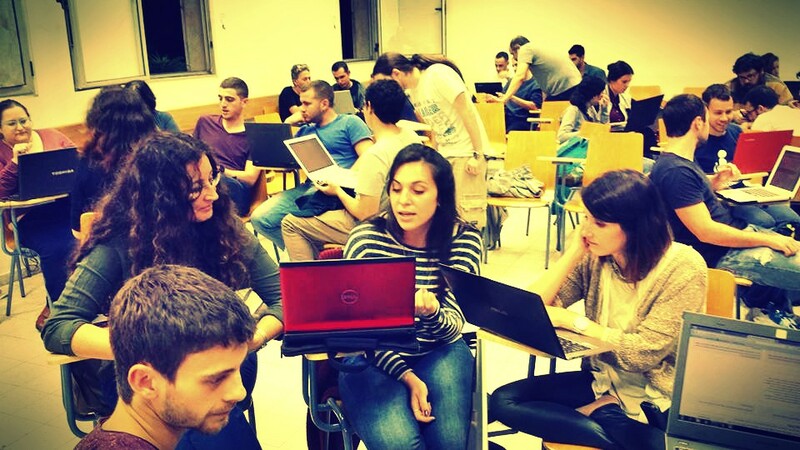 Students can also be asked to create different version of the BMC based on changes in a key aspect of the business model (e.g., customer segment). An episode of the podcast “The Pitch.” In each episode of this podcast, real entrepreneurs are pitching their ventures to real investors. A news article about a newly-opened venture started by a local entrepreneur. (As an illustration, here is an article about an entrepreneur who started a shoe cleaning service). The business page of the local newspaper is a great source for possible scenarios. That is the overview of the ExEC experiential assessment model. If you have any feedback, or suggestions on how to improve it, we’re all ears. Please leave a comment below. We’d love to hear how you structure assessment in your experiential class. Want Structured Assessment in your Class? If you like the engaging of power of experiential teaching, and are looking for a structured approach to assessment, request your preview of ExEC today. It only takes a couple days to get a feel for the material, and get your course set up to use it. If you’d like to try ExEC for your upcoming term, take a look today. The time is coming to think about prepping fall classes. Don’t reinvent the wheel. Let us enable you to focus on building experiences that help your students develop and apply their entrepreneurial mindset. Experiential Entrepreneurship Curriculum (ExEC) is your guide to a structured, experiential classroom. Request a preview of the Experiential Entrepreneurship Curriculum today and make this Fall your most engaging semester of entrepreneurship yet! If you want your entrepreneurship classroom buzzing with the nervousness and excitement of active learning . . .
There’s a community of entrepreneurial professors like you, and they’re using ExEC to blow their students’ minds! What if Your Course Changed the Career Trajectory of Your Students? That’s what happened to Dr. Emma Fleck at Susquehanna University, and her students Julia Bodner, Hannah Gruber, and Jennifer Thorsheim. 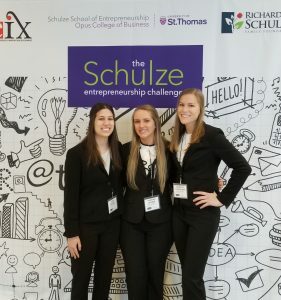 Using the Experiential Entrepreneurship Curriculum (ExEC) in their Fall 2017 course taught by Dr. Emma Fleck, Julia, Hannah, and Jennifer discovered skills and confidence they didn’t know they had, created a business, and won an all-expenses-paid trip to the University of St. Thomas in St. Paul, Minnesota to present their business in e-Fest and the Schulze Entrepreneurship Challenge. We are hearing similar stories from entrepreneurship classrooms around the world using ExEC as their curriculum. The learning is lasting. The experience is dynamic. The students are transformed. If you want engaged students and a classroom alive with ideas and passion and growth, check out our curriculum. If you’re not convinced, let us tell you a story . . . Prior to Dr. Fleck’s course, Julia, Jen and Hannah “were a little nervous when [they] got the assignment of creating a company”. They didn’t think they were creative enough, and had reservations going into the course. She was in London, traveling on the tube, and was followed home by a strange man. She told her parents, who urged her to take an Uber next time she was traveling, so she did. That experience was no better; her driver was being “really weird”, telling her she looked like his ex-girlfriend, and in general creating a very uncomfortable atmosphere for Jennifer. The ideation exercises in the ExEC curriculum, combined with the existence of a threat for women traveling alone, sparked an “Uber for women” idea for the three young women. They became very passionate about developing a business providing safe transportation for women on college campuses. And Fairy Godmother was born! In this short video, Julia, Jen and Hannah explain what using ExEC meant to them. This is the student feedback every teacher dreams of! You can get it with ExEC. In the video above, the Fairy Godmothers explain the value of their ExEC course! ExEC will teach your students to create a startup just like Fairy Godmother. Click on the image below to check out their Unbounce landing page, which they created using the 60 Minute MVP exercise from ExEC to create this landing page. 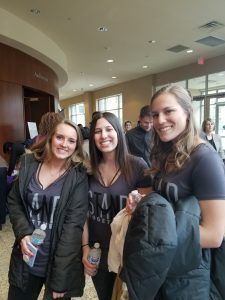 Julia, Jennifer and Hannah entered Fairy Godmother in the annual e-fest/Schulze Entrepreneurship Challenge event, and were selected as finalists! 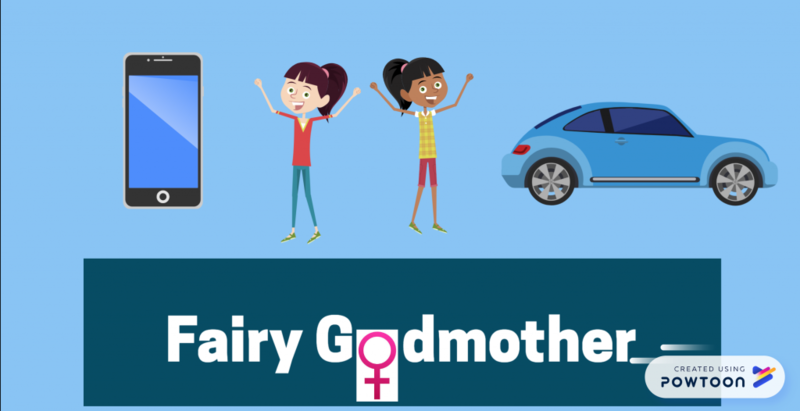 Although they were nominated for the Social Impact and the Global Impact Awards, Fairy Godmother left empty-handed in terms of awards and funding. But they left with something much more important – confidence! The experience gave them validation that they were capable of building something from their ideas; judges and other students sought them out individually to encourage them to push forward. Dr. Fleck used ExEC to lead Jen, Julia and Hannah to identify a problem they are passionate about solving, conduct research and customer interviews, build out a landing page and develop a business and financial model. This experience gave them confidence and a toolkit with which they can excel in the world. Your students can have too – sign up to use ExEC today! Julia, Jennifer, and Hannah experienced a different senior year spring semester than their friends. They certainly were thinking about a job and life post-college. But because of their experience in Dr. Fleck’s class, they also were thinking about next steps with their business. They continued working on their business model and landed on a licensing model for college campuses, charging a flat fee and also taking a percentage of each fare. They knew another group of students would be going through Dr. Fleck’s course, using the same ExEC curriculum, learning from the same (amazing!) professor. Julia, Jen and Hannah began thinking about passing along part of their business to this new batch of students. They would stay involved, but they also would get new energy and ideas. 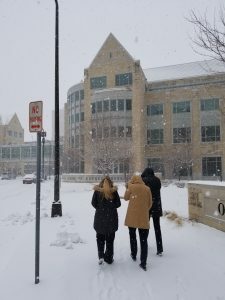 The Fairy Godmother team is working on the legalities of licensing, delving into the murky waters of financials, and putting together a plan to enable more students to help them take their business to the next level. After their experience, they knew they could overcome the uncertainty they would encounter, and could navigate the boulders in their path. These women were not as afraid to take risks and stood a little taller as they faced the challenges of entrepreneurship and of life after college. …in a rigorous way, that can be consistently assessed. Request a preview of the Experiential Entrepreneurship Curriculum today and make this Fall the most engaging semester of entrepreneurship yet! For more in our continuing series of free classroom resources, subscribe below. Show your students there are plenty of entrepreneurship opportunities in their everyday lives! In the video above, Jennifer explains her exercise for helping students identify opportunities! 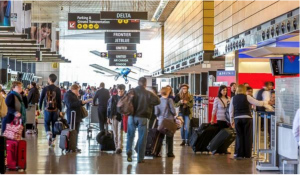 This article is a collaboration with Jennifer Capps, the Director of Student Learning and Faculty Development for NC State Entrepreneurship at North Carolina State University. Jennifer developed this exercise for interdisciplinary entrepreneurial thinkers at any level. It can be easily adjusted in terms of difficulty and lessons learned to meet the needs of undergraduate or graduate students, business or humanities students, scientists or artists, etc. Jennifer has used this exercise successfully with groups ranging from 20-100 participants. Jennifer’s complete lesson plan is available to download below, but here’s an overview. Based on the image that has been provided to your team, conduct a brief 3-4 minute search to identify at least 3 interesting entrepreneurial ventures that have a product or service that is impacting your given scene. You want students looking for things that exist that relate to the scene in the photograph. 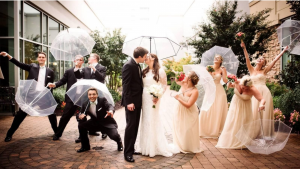 For instance, in a wedding scene, you want them talking about Zola, Vow to Be Chic, etc. Students will feel a bit lost. Encourage them to just get started – express a sense of urgency! Have each group show their picture and quickly present the companies they found and the pain/problem those companies are solving. Write the companies on a board or a slide, categorized by the image. Groups looking at the same image will inevitably overlap the companies they found. They’ve done a quick Google search (“startups in the wedding industry”) and selected the top results that seemed to match. The aha moment happens when the 2nd or 3rd team waiting to present on an image keeps hearing the same companies that they found. They realize they didn’t dig deep enough – encourage them to share this. Are students presenting a solution or a pain/problem? How deep did you actually go in terms of seeking out entrepreneurial opportunities in your scene? How much time did you spend critically thinking about this concept versus just trying to get the assignment done? How could you push yourself to go further? Check out Jennifer’s lesson plan below for full details! Give students a second chance. Tell them they will do the exact same thing, but that every company and pain/problem that was brought up in Round 1 is off limits. Encourage your students to not restrict themselves to just the image they are seeing. Encourage them to think about what went into creating that image – what had to happen to make whatever is happening in that image happen, etc. Encourage them to focus on what’s going on in the background, to think about what will happen next after that photo. The goal is for students to learn to expand the way they think about opportunities in the world around them. And also to learn that opportunities grow when they move beyond the easy answers that are right in front of their nose. Contrast how much more creative and impactful these ideas are than those from Round 1. Also point out how much stronger the students were in their critical thinking when they’re encouraged to go beyond their comfort zone and not take the easy path. During round 1, how easy/difficult did you find the opportunity identification process? Why? When you heard all of the round 1 pain points/entrepreneurial ventures, how do you feel that your ideas compared to others? Why? Did you originally navigate to the more obvious options in your image or did you naturally apply a deeper level of critical thinking? How easy/difficult did you find round 2? Why? Once you were told to look beyond the exact image that you were given, what did you learn? How can this lesson translate to your everyday life as an entrepreneurial thinker? We’ve created a detailed lesson plan for the “Image Insights” exercise to walk you, and your students through the process, step-by-step. It’s free for any/all entrepreneurship teachers, so you’re welcome to share it. Are your students shy about conducting customer interviews? Do your students struggle collecting information about problems from customer interviews? Observing customers is another great way to gather customer information. In some important ways, it can provide even more and different information than an interview. Introduces your students to a powerful tool to gather information on customers’ experience in real-life situations. This allows them to avoid predicting customer behavior by actually observing it. Because actions speak louder than words. Allows students to practice listening with their eyes, to understand what people value and what they don’t. Because behavior doesn’t always match what people think they will do. 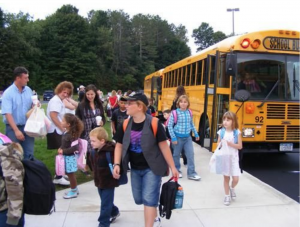 Observing customers in natural settings is a powerful experience for students. They discover new business opportunities. They increase their customer empathy. They hone their behavioral analysis skills. All critical entrepreneurial competencies! Students going through this exercise learn a technique to gain insight into the small details of a customer’s interaction with their environment that a customer may not think to express in interviews. This exercise will span two class periods. For more details, check out our Fly On The Wall lesson plan below. Entrepreneurs can’t trust numbers alone. In order to improve the world, we must see, feel and experience it for ourselves! After trying to design a toothbrush for kids the wrong way, this video will drive home the point that the goal isn’t to make toothbrushes smaller for kids, but to actually make them bigger! For more details on this exercise, check out our Fly On The Wall lesson plan below. The homework consists of two steps. Step 1 is to watch the video below (click the image to launch the video) about the product development process, and read through Examples 1-3 here about how to make things people want. Step 2 is for students, in groups, to observe customers for 20 minutes in a campus location where people are active. 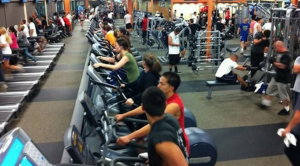 For instance, dining hall/food court, gym/rec center, makerspace, athletic facilities, etc. The point of this homework assignment is for students to observe students actively interacting with some products (gym, makerspace) or business (food court). In other words, you don’t want them observing students in the library, where they are likely to be sedentary. We want these observations, because it’s the perfect way to illustrate how to conduct useful observations. For a debrief of their homework, ask students how they can use the information they gathered during observations to develop products/ideas they could bring to market. Students will not write down questions they will try to answer prior to the observation, or define major themes to look for. They will observe without planning a framework. The aha moment we want them to realize is that they need a plan to effectively observe customers. For more details on this debrief, check out our Fly On The Wall lesson plan below. They should notice a significant difference between their observations after Class 1 and Class 2. This extended series of exercises gives students valuable skills to add to their entrepreneurial toolkit: customer observations and behavioral analysis. We’ve created a detailed lesson plan for the “Fly On The Wall” exercise to walk you, and your students through the process, step-by-step. In upcoming posts, we talk about our evolving experiential curriculum, how to teach students about approaching and mitigating risk, and how to enable your students to better identify opportunities! Subscribe here to get our next lesson plan in your inbox. This exercise highlights the relevance of understanding the customer’s thought process when they make a buying decision. 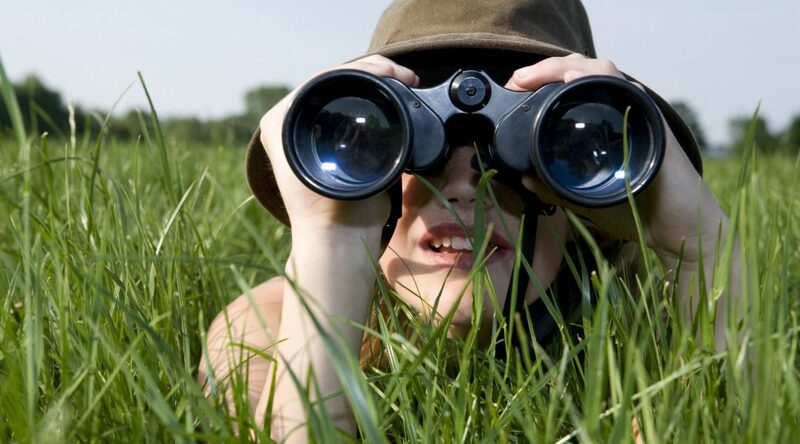 Gain insights and new ideas from seeing things from the customers perspective. 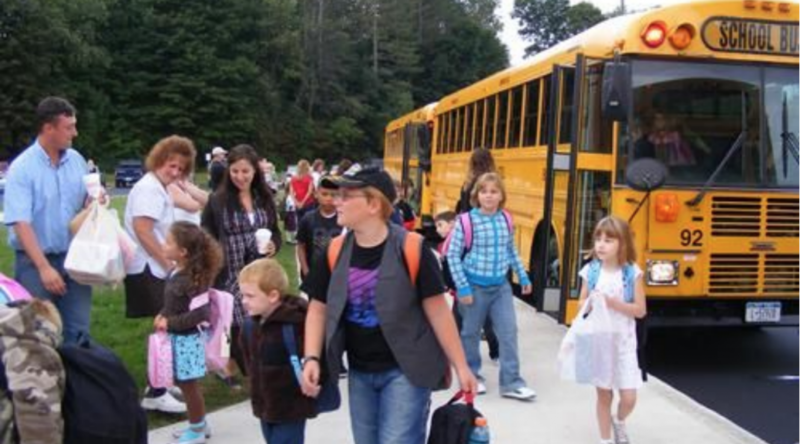 Students are placed in a situation that allows them to complete a ‘walk-a-mile’ immersion in a 50-minute time frame. The complete lesson plan is available to download below, but here’s a quick overview. You will want to review Best Practices for Restaurant Website which are provided in the lesson plan. 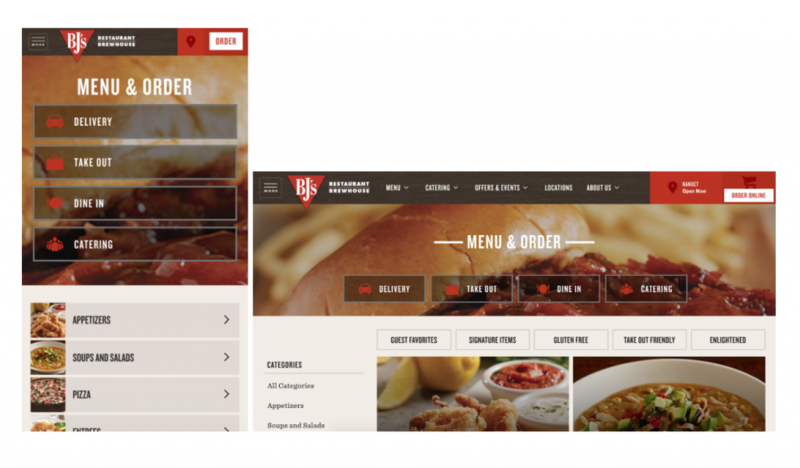 BJ Restaurant is an example that fulfills the requirements of a good site. This class starts with students brainstorming, as a customer, what they would want from a restaurant website. You can also suggest different scenarios, such as going alone, with friends, for dinner, for work, etc. The goal is for students to ‘put themselves’ in a customer’s shoes. To gain an understanding of a customer’s needs and wants. You will have students form teams, and give them 15 minutes to evaluate their favorite restaurant’s website, to see if it meets their list of requirements. Teams should also be on the lookout for particularly bad websites, which they will present in the next step. China Garden – Example of a bad website. After the teams had time to review websites, have each group present the worst website they found and discuss why they feel it was not a good website. How did they arrive at this decision? How did they feel when the website didn’t fulfill their requirements? How does a website that fulfilled their requirements improve their experience? How did they feel this exercise helped them connect with customers? See the complete lesson plan below for more ideas and topics to cover. When I run this in class, students have an a-ha momentwhen realizing how a better website, a website they would use, is created when you understand the customer. By making themselves the customer, they see how they wouldn’t use a poorly built site and how it would affect their impression of the restaurant. Students will realize the benefits of talking to customers before creating a product or business because they have discovered the importance of understanding the customer’s perspective and thought process surrounding the buying decision. By having students go through this exercise early in the course schedule, you can draw on their experiences when they are developing ideas, and be planning out their customer development work. This article is a collaboration with Naema Baskanderi, UX Lead & Researcher, and UX Instructor. The goal of this exercise is for students to understand a critical component of creating a product or business that fulfills a customer’s needs. We’ve created a detailed lesson plan for the “Walk A Mile” exercise to walk you, and your students, through the process, step-by-step. 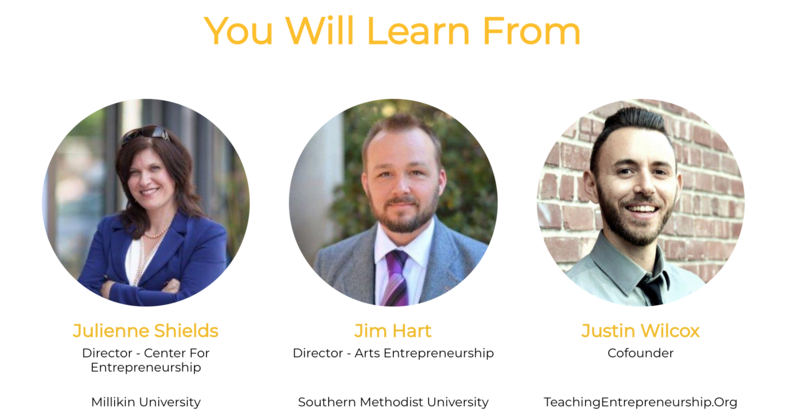 Last Call for the Teaching Entrepreneurship Digital Conference! Help your students with problem validation. At this conference, you won’t learn by listening, you’ll learn by doing! Register with discount code DigitalConferenceMVP for a 50% discount! Are you participating in our Digital Conference on May 10? If not, this is your chance to participate for free! …then you want register for the Teaching Entrepreneurship Conference. We’re hosting a digital conference experiment, and we’re offering free tickets to attend the event live! Use the coupon code DigitalConferenceMVP for free access to the live session, or for $100 off a full ticket price (which also includes post-conference recordings)! 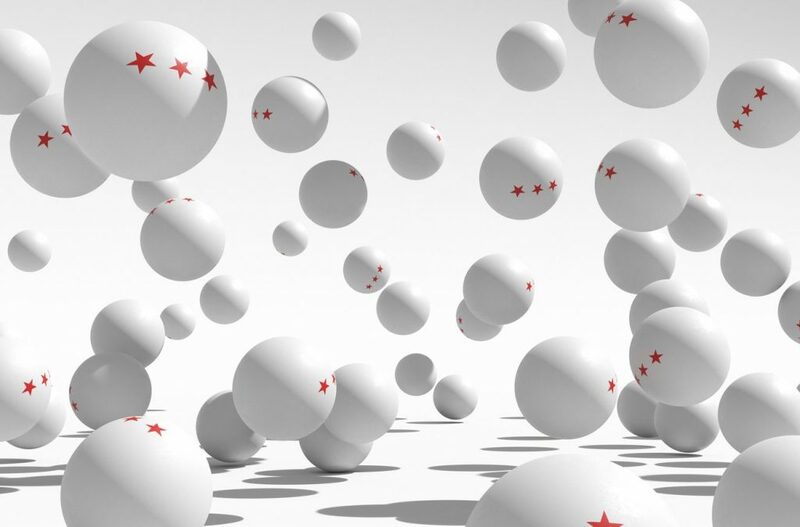 Join Julie live in her classroom as she gives her students piles of ping pong balls and a complex mission to accomplish with them. Watch (and help!) her students iterate their way to a solution as they discover the benefits of small, fast experiments and embracing the failures they encounter along the way. Use this exercise in your class to help your students learn to take calculated risks and an iterative/experimental approach to solving problems. If you want to help your students with idea generation and motivating them to interview customers, definitely join Jim’s session. Justin will show you one of the most popular exercises from the Experiential Entrepreneurship Curriculum (ExEC). This exercise will show your students once and for all, why it’s better for them to use customer interviews for problem discovery, than it is to use surveys! Our ExEC professors cite this lesson as producing “Light Bulb Moments” in helping students understand the power of customer interviews. Join us to see it in action! It Works In Our Curriculum, So Why Not A Conference? After the positive impact of our ExEC entrepreneurship curriculum’s “Show, Don’t Tell” approach to experiential learning across 20 universities, we decided to apply that approach to the conference experience. We know you enjoy learning by doing. We enjoy showing, not telling. It’s a perfect match! See you there – be sure to grab your ticket here! Remember, register even if you can’t join us live because we’ll have recordings available. Remember to use the coupon code DigitalConferenceMVP for free access to the live session, or for $100 off a full ticket price (which also includes post-conference recordings)! Get transported into a live learning environment! In the video above Julienne Shields explains the experience she is offering our Digital Conference participants! 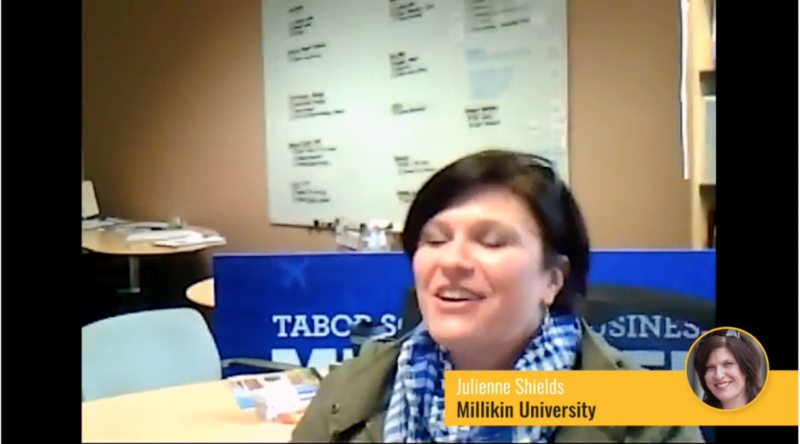 Join us for the TeachingEntrepreneurship.org Digital Conference and you will work live with Julie’s students at Millikin University on an exercise focused on estimation, iteration, and failure. Watch Julie teach a real lesson, with real students, during the conference! Are you looking for exciting tools and exercises to engage your students and enrich your classroom? You are why we created our Digital Conference Experiment! Julie is Director of the Center for Entrepreneurship at Millikin University, is an entrepreneur through the historic farm she owns, and is an educator whose energy and passion for igniting students’ entrepreneurial spirit will leave you wanting more! 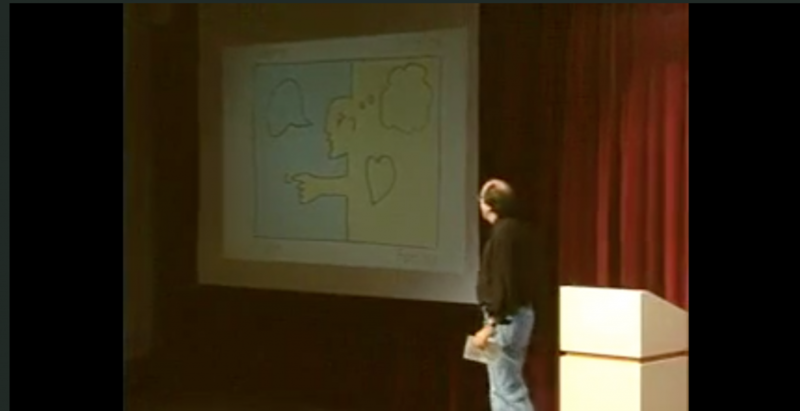 In the video above Doan explains his exercise for getting comfortable thinking creatively! If you want your students to get truly excited about your class from the first day, or refresh your own experience as a teacher, read on! In this exercise, we explore the question: How can we provide students a true entrepreneurial experience within a classroom context? In other words, how can we make it real? This article is a collaboration with Dr. Doan Winkel, the John J. Kahl, Sr. Chair in Entrepreneurship and Director of the Edward M. Muldoon Center for Entrepreneurship at John Carroll University (and co-founder of TeachingEntrepreneurship.org). 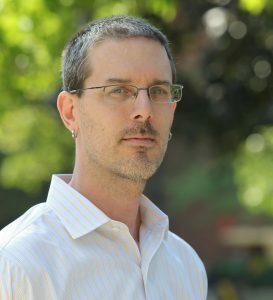 He developed this exercise so his students with had a powerful learning experience about entrepreneurship during the first moments of his course. Doan developed this exercise to provide his students with the opportunity to experience entrepreneurship on the very first day of my entrepreneurship course. Students are placed in a situation that reflects many of the pressures, constraints, and reward incentives of new business creation in a compressed 30 minute time frame. Doan’s complete lesson plan is available to download below, but here’s a quick overview. Scout out a location with plenty of shops and foot traffic. You’ll want this location to be nearby so students don’t lose too much time traveling. 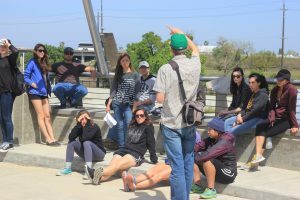 Doan gets students off campus so it feels more “real”, but some educators may be able to conduct the exercise on campus depending on the density of stores and foot traffic. This location is where the class will meet on the first day. 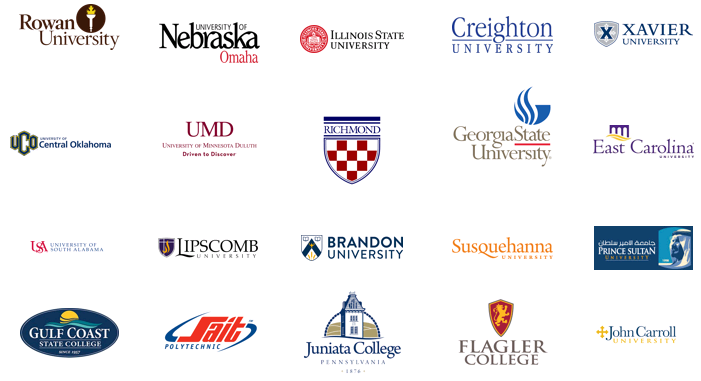 Once you decide on a location, be sure to get the word out to students regarding when and where to meet soon after registration begins. Send a selfie at the meeting spot, Google Maps coordinates, and anything else to help students find you on the first day of class. Email students reminders multiple times, including the day before classes start, to make sure you inform students as they add and drop courses. In case anyone does not get the message, put a notice in your classroom reminding students that the first meeting was offsite and to wait in the classroom until everyone returns – about 45 minutes. You will be grouping students into teams of four, so get enough cash in $1 bills so that every team can start with $10. If your institution does not allow you to provide the cash, also let students know they need to bring 2 or 3 $1 bills with them the first day of class (depending on team size you will use). Meet your students at the chosen location, team them up in groups of 4 as they arrive, and hand 10 $1 bills to each group. Teams have 30 minutes to make as much money as they can, legally. Whichever team makes the most profit, keeps all the money from all the groups. Don’t provide any other specific guidance. Students will want to ask questions. Don’t answer them – walk away after reminding them to meet you back in the classroom in 35 minutes. As teams arrive in the classroom, note on the board the profit made by each group and collect their money. Determine the winning team and disperse the winnings. Start a debrief about the experience, starting with the winning team. How did they arrive at decisions? Negotiate? Pivot their business idea? Did students work individually or as a team? Why? How did the ambiguity feel? How did it feel using someone else’s capital? How did they identify a market need? How did they identify and connect with customers? Build familiarity and bonding amongst students. Identify students who need more support with this teaching style. By having students go through this exercise early in the course schedule, you can draw on their experiences when developing ideas throughout the term. We’ve created a detailed lesson plan for the “Making It Real” exercise to walk you, and your students through the process, step-by-step. Companies aren’t built in classrooms. They’re built in often ambiguous and rapidly evolving markets with limited resources while imposing tremendous pressures on founders. Let your students discover what strengths they bring to a team of entrepreneurs. Teaching Entrepreneurship Digital Conference is Coming! Or you can just view it here.